Even though there is several email marketing company available in the market which offer both free and paid services feedburner emails are still on the top. 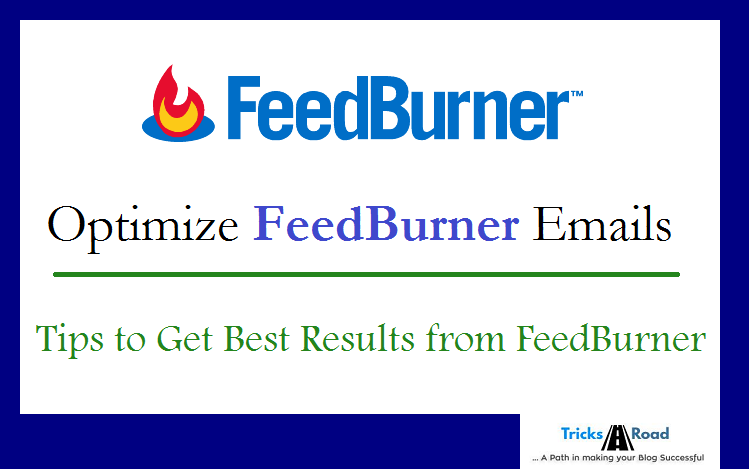 Feedburner email is no doubt the most popular method for emailing blog posts to subscribers. The most attractive thing with the feedburner emails are it’s completely free and comes with your Google account. Even though I use some other email marketing services also but Feedburner is still the best and I like it much. However, I think many users do not realize its potential and all the ways the service can be utilized to maximize readership and sharing. This post will take you through 5 major ways to teach you how to optimize feedburner email. I know many of you know few points but if you’re going to implement all that will boost your traffic and engagement for sure. 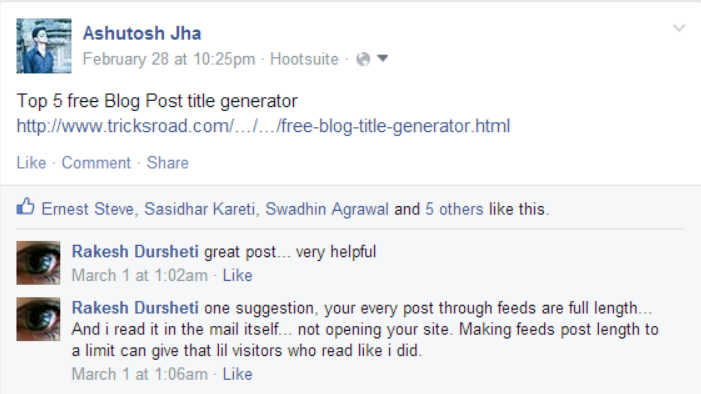 Few days back I was also not aware of few tips and was using the default setting provided by Feedburner email account but then one of my friends Rakesh Dursheti gave me beautiful feedback on Facebook and I researched for the best use of Feedburner and here are my experiences. Also Read: Free Blog Title Generator to Write Best Headline. Here in this post I’ll be showing you the top 5 ways to optimize Feedburner emails in just 10 minutes. So that you can maximum out of it. This is one of the most important and debate question in blogging. 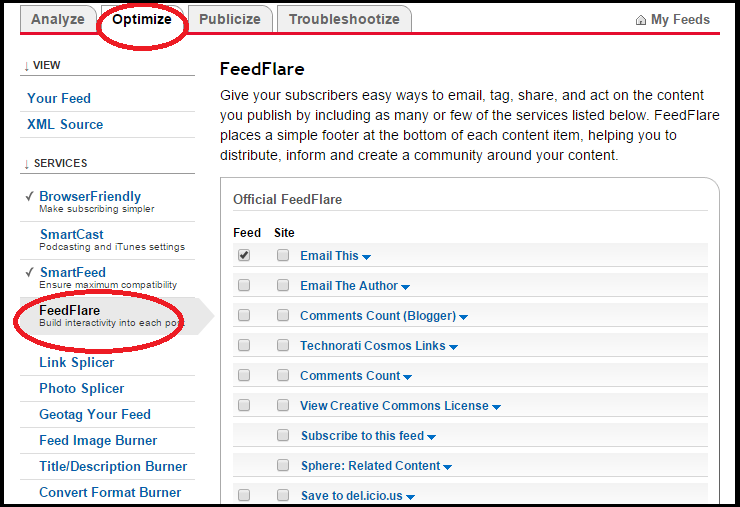 The default setting in the feedburner email will mail the full blog post to your subscribers. Is this beneficial for bloggers? If you’ll ask me it’s not. Because by this way you’re not going to get traffic and engagements from your subscribers. They will get full post in email itself and so why to visit you. Just think why you worked to increase subscribers? So just cut the full post to summary and mail. There is a setting in your Feedburner account using which you can do this. I would suggest you to mail around 200 characters to your readers and for the remaining part let’s have them visit you. 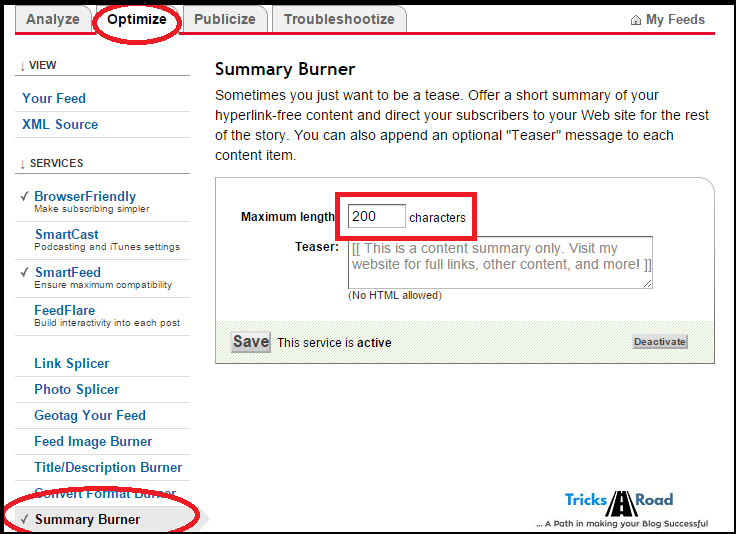 Login to your Feedburner account à Optimize Tab àSummary Burner. Here select how many characters you want to send in an email. This trick is definitely going to increase your traffic and engagement. Unfortunately there is no read more link option available here but by clicking on the post title readers can visit you. If you’ll check my previous feedburner emails you will find the same title in every email “Tricks Road - A Path In Making Your Blog Successful”. Isn’t that confusing? If you too think the same, here is the solution. You can change the title of email to blog post title. If you’re not getting idea for blog post title try free blog title generator. This will help you a lot. Here I have written TricksRoad just for branding. You can change it to your blog name. This step will give a professional look to the emails and also if your readers need in a feature they can directly search. This is also one of the important parts which will make your Feedburner email professional. It gives a positive impression to user and does not look like fake and also show a feel of brand. Just by inserting the URL of logo you can show your company’s logo to the right of mail. Follow the below step to achieve this. Publicizeà Email Subscriptionà Enter your logo url in Logo URL section. Just remember the logo size should not exceed 200X200 else it will not show and there is no option to compress here. So you have to share the URL of optimized image. This is one of the coolest features of Feedburner emails. At the footer of emails you can add links for some social share like Facebook, Stumble, Digg etc and can also add number of comments and an option to email that post to some other user as well. This will help you to spread your word and get more traffic. Optimize Tab à FeedFlareà Select those check boxes which you want to enable. 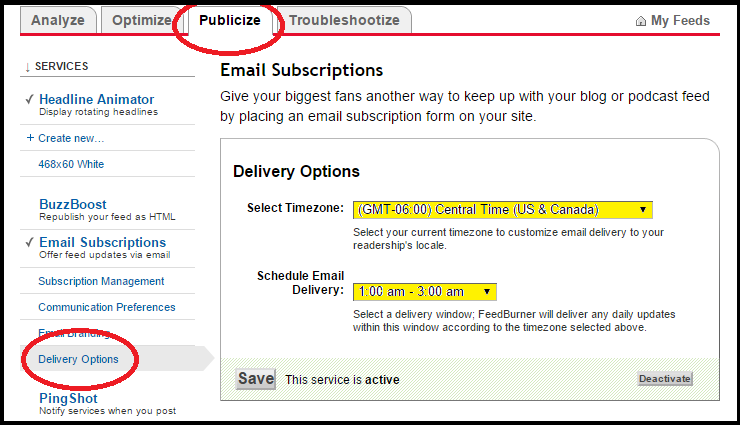 Yes you can also schedule the email delivery time in your Feedburner email account. It’s well said that timing plays an important role in the success and so you should manage to deliver the email at the best time depending on your audience. Like you deliver in the early morning so that when your subscriber will check the mail, yours should be the first and I am sure he/she definitely going to check that. You can easily schedule the email delivery time like below. There are many more options available to optimize Feedburner emails like you can customize fonts and colors of the email. Also you can use animated headers etc. but these 5 are the best and one should use these to get maximum benefit from Feedburner emails. These are only 5 ways to optimize Feedburner emails – but there are so many more like I said above. Just explore it and you’ll love it. 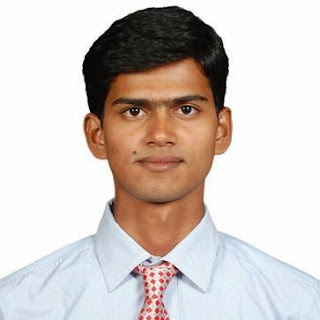 I am using Feedburner email as well as some other email services as well like MailChimp and have to say if you want to try free and easy way Feedburner is best. Do you have any questions about other options available (or not) in Feedburner emails? I am happy to help. Leave your question below. Also let me know which email service you use and your experience.